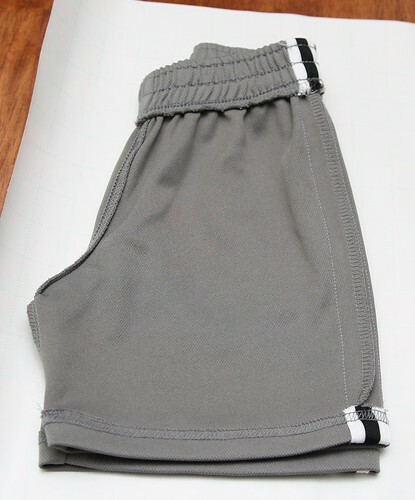 Elastic waist kids shorts and pants are SO easy to sew. Sometimes I wonder why I buy them from the store at all. I made this pair of shorts for my son to match his sisters seersucker sun suit for our trip to the beach. This tutorial will show you how to make a pattern from a pair of shorts (or you could use the same technique on pants) and sew a simple pair of elastic waist shorts. 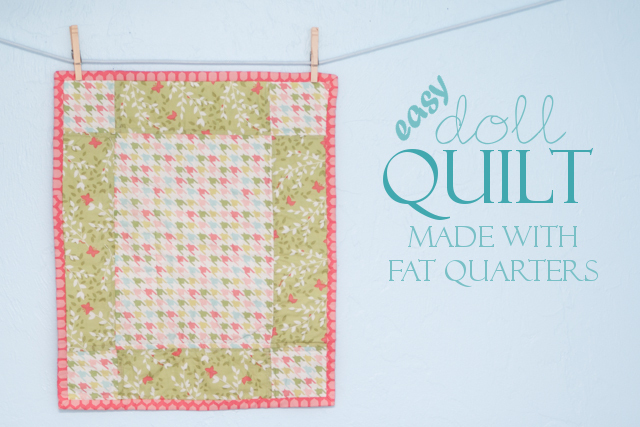 You can do this for any size, even use it to make some elastic waist PJ pants for yourself! 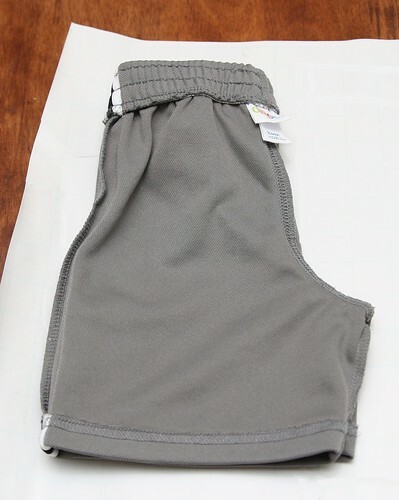 These shorts are comfortable for your little and easy to get on and off (an important feature in pants for a wiggly toddler.) 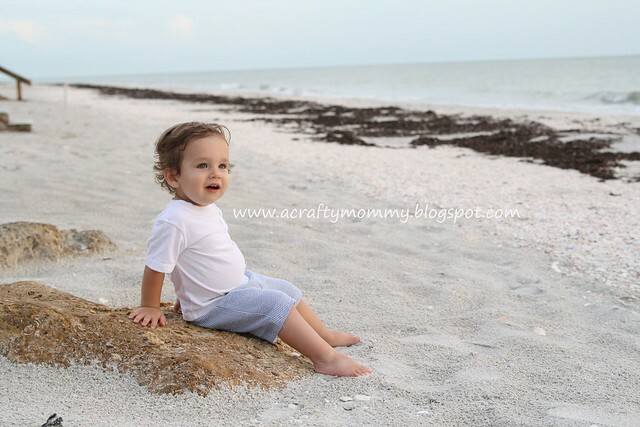 You can make them in any fabric, seersucker makes them perfect for the beach! 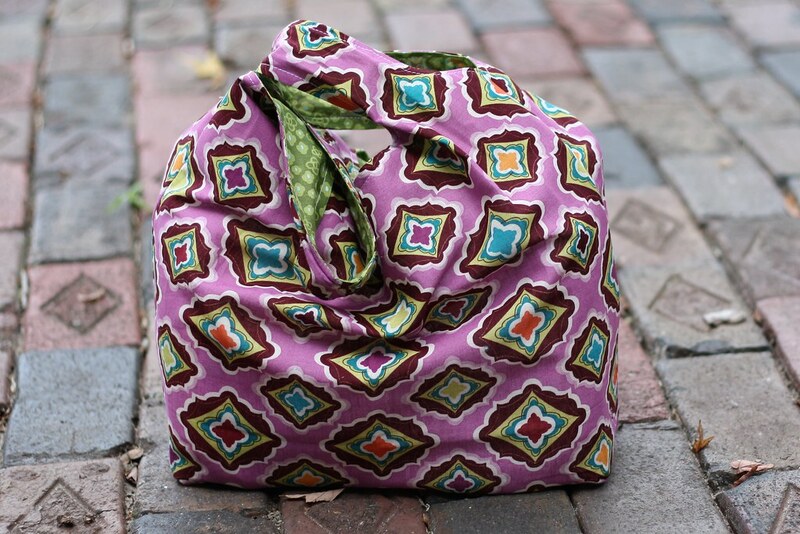 Fabric - you can use anything, I like a lighter weight cotton because it is cool and comfy. 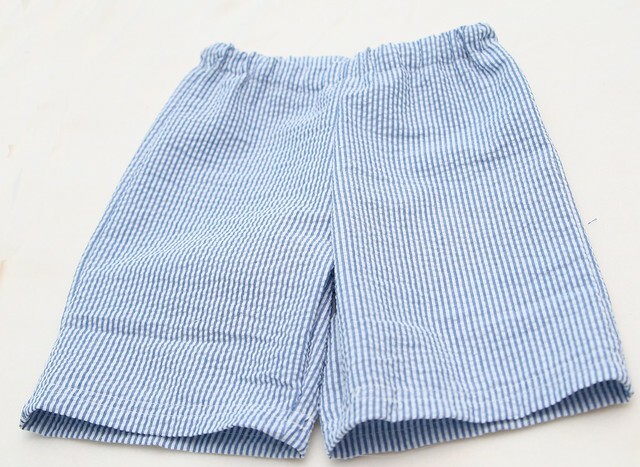 The amount of fabric you need will depend on the size shorts you are making, I used less than 1/2 a yard on these and he wears 18-24 month clothes. Elastic - I used 1" elastic and again, the length will depend on the size of your kid. To start you need to make a pattern. 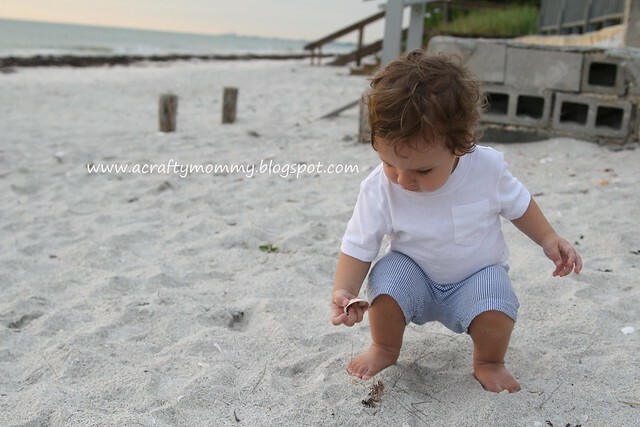 Find a pair of shorts that fit your kiddo pretty well. 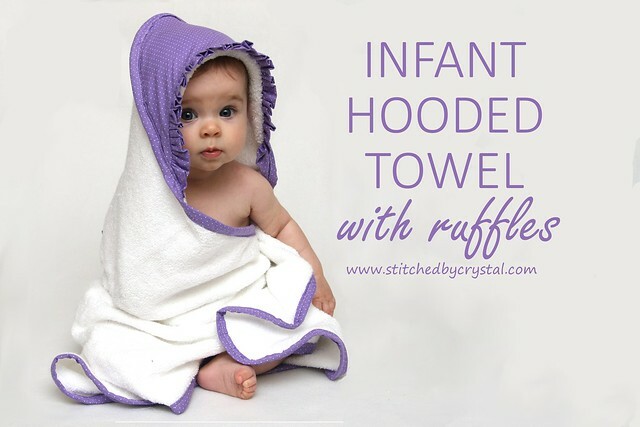 Turn them inside out and fold them in half. Pull the crotch seam out and get them as flat as you can, like in the picture below. Find a big piece of paper to draw your pattern on, I buy wrapping on sale after Christmas to draw patterns on. Trace around the shorts. 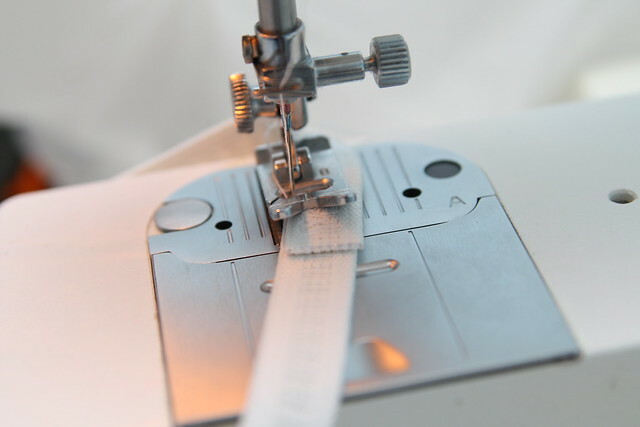 If your shorts have an elastic waist, you will want to stretch it out when you trace it, you mat have to enlist some help for that so someone can keep it stretched while you trace. 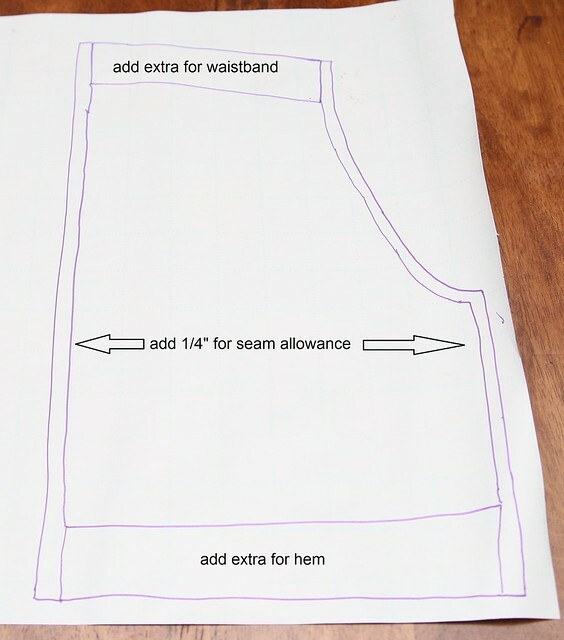 When you are tracing, you want to add a little extra at the top for the waistband and a little extra at the bottom for the hem, you also want an extra 1/4" or so on the side for the seam allowance. This picture below shows the outline on my shorts and where I added a little extra. You can just add it to the pattern while you are tracing. You will notice that the crotch piece is bigger in the back than in the front and the waist is a bit lower in the front. You will want to trace one side and then fold them the other way to trace the other side. 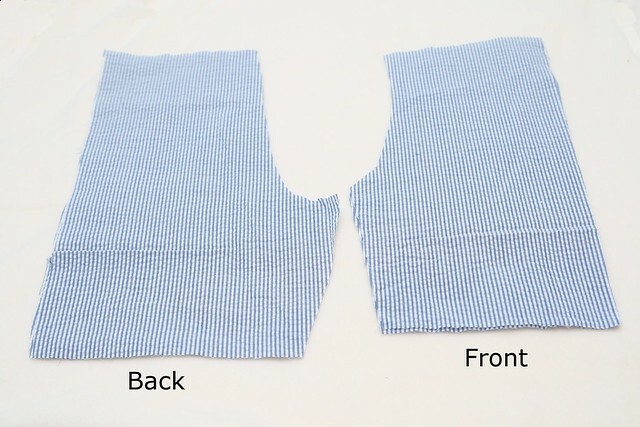 Fold your fabric right sides together and use your pattern to cut out your front pieces and back pieces. You should end up with two of each. 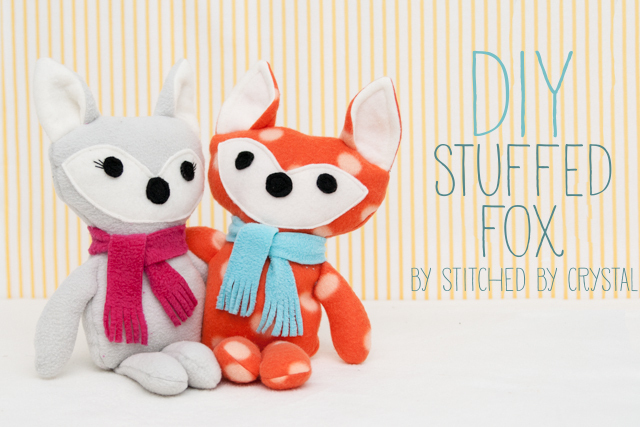 With the right sides together, pin the two back pieces together along the curve and sew them together. 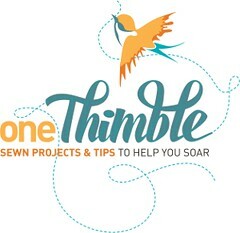 Finish the edge with a serger or zigzag stitch. 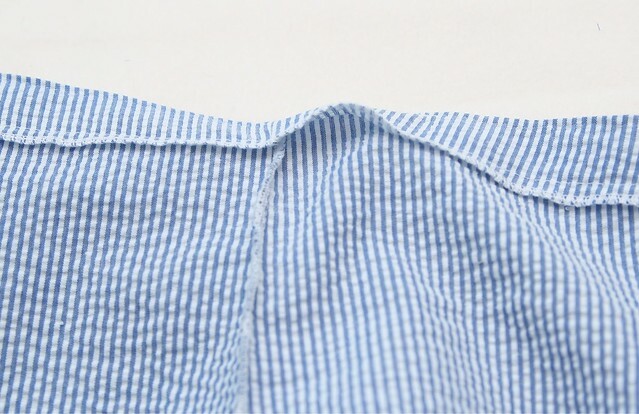 Then press the seam. Repeat with the front pieces. 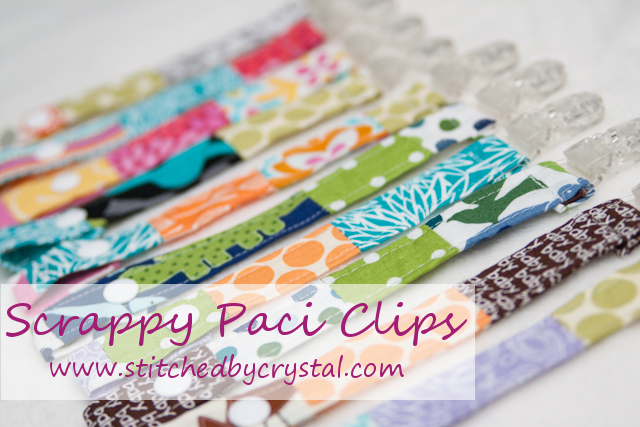 Line up the front and back pieces and sew along the side. Finish the edges and press the seams. 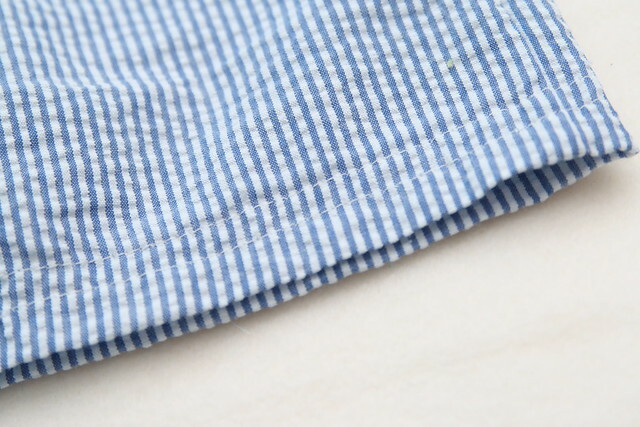 Line up the inseam of the front and back, sew, finish the edges, and press the seams. Decide how long you want your shorts. 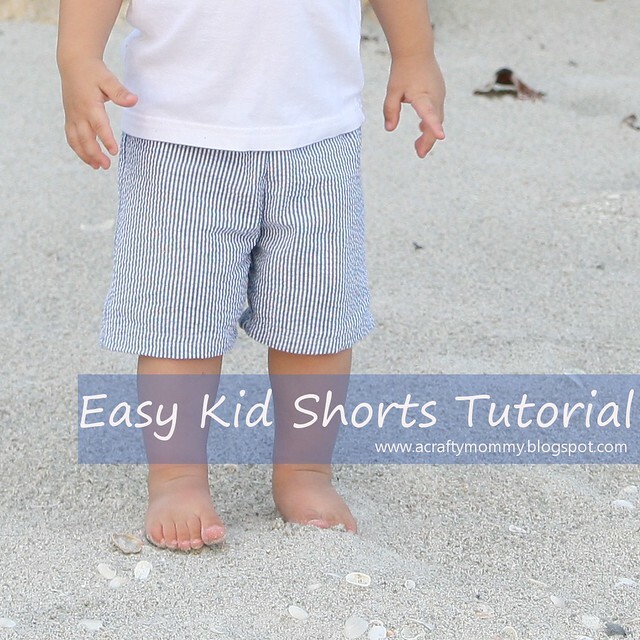 You can do this by using the shorts you made your pattern from or by trying them on your kid. Trim the legs leaving enough room for your hem. 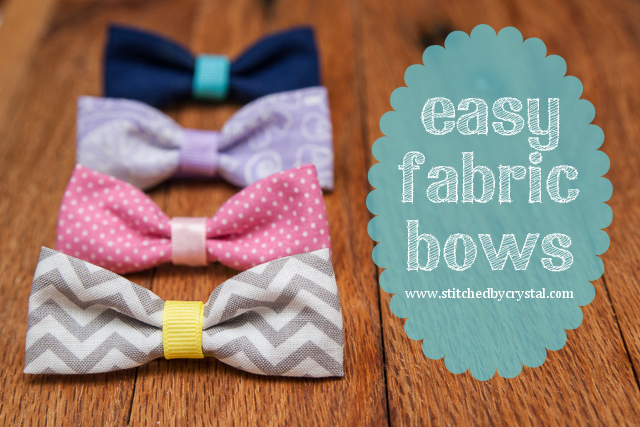 You can even leave a little extra and let the hem out as your kid grows! Serge the edges. 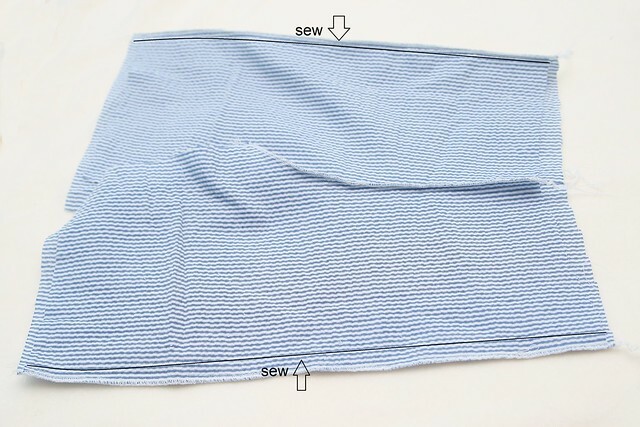 If you don't have a serger, you can just fold the edge up a 1/4" and iron it. 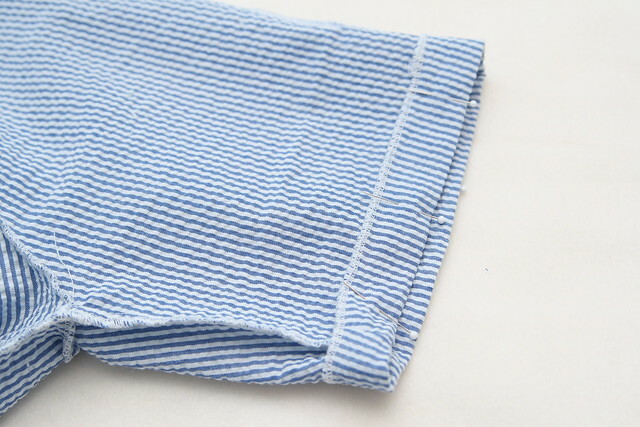 Fold the bottom up towards the inside of the pants and press. 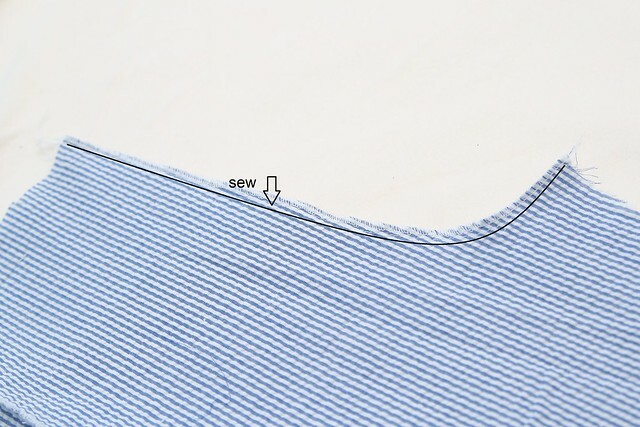 Pin then and sew the hem. I sew one row of stitches then moved my shorts 1/4" over and sewed another row to give my shorts a more finished look. Next serge the edge of the fabric at the top of the pants or fold it down 1/4" and press it. Then fold the edge down to make the casing for your elastic. You want the fold to be about 1/4" bigger then your elastic is wide, my elastic is 1" so I folded down 1 1/4". Sew along the edge leaving an opening about 2" in the back of the pants to feed the elastic in. 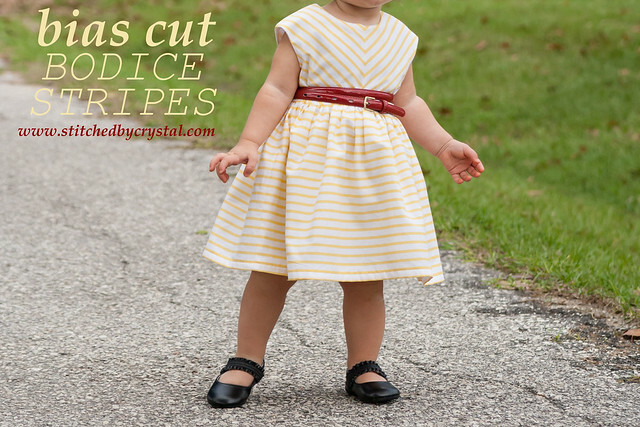 Measure your child's waist and cut a piece of elastic the 1" longer than the measurement. 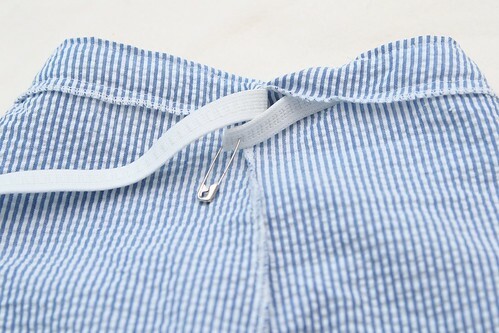 Use a safety pin to help feed the elastic through the waist. Make sure you hold on to the other end so it doesn't get lost inside. 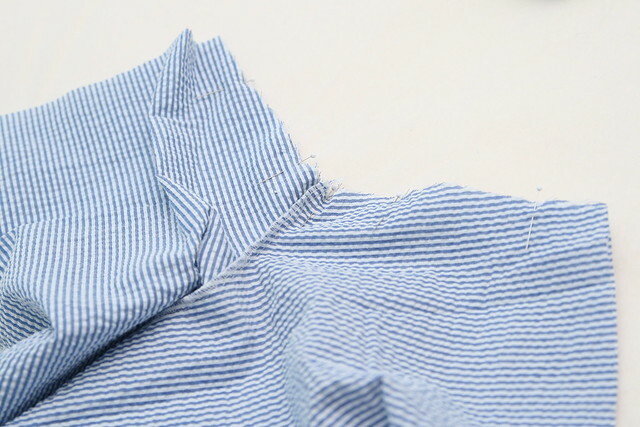 Overlap the ends of elastic 1" and sew them together with a zig zag stitch. Pull the waistband taught so the elastic all slips inside the casing. 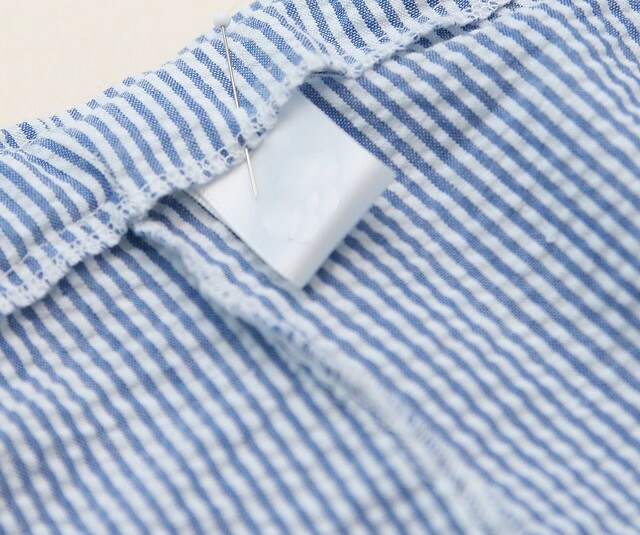 If you have a label pin it in the waistband. I always use some kind of tag when I make pants, even if it is just a piece of folded ribbon, that way I know which side it the back. Now you have a pair of shorts perfect for shell hunting! This is exactly the kind of tutorial I've been looking for! Thank you so much!!! Wow! If I can make mine look half as good as yours I will be so proud of myself! 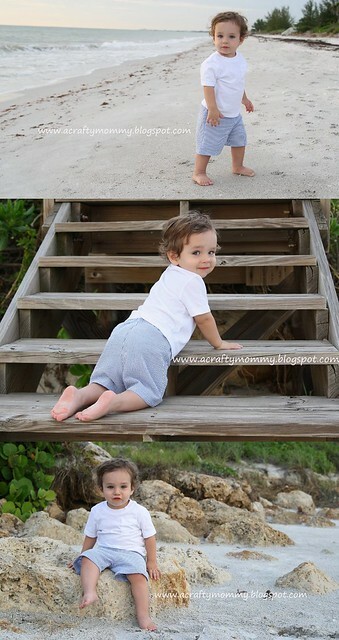 I'm so eager to try these and make a match skirt & shorts for my girl & boy. Thanks for being generous with your knowledge! Thank you for posting this awesome tutorial! I've been looking for something this clear, and I'm so glad to have stumbled upon your blog. Thanks! 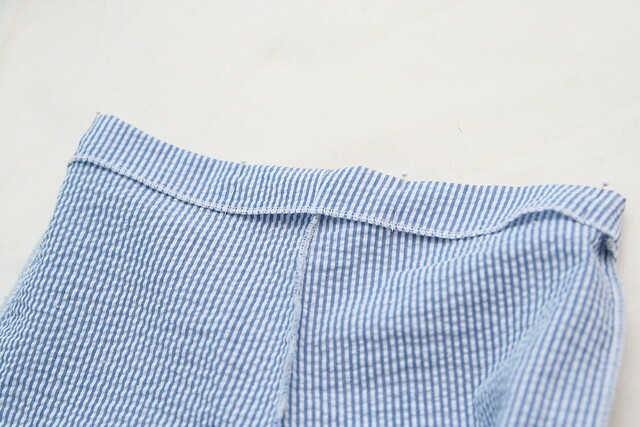 I just made two pair of pajama shorts with a Piet for my iPhone. Your tutorial was just what I needed! 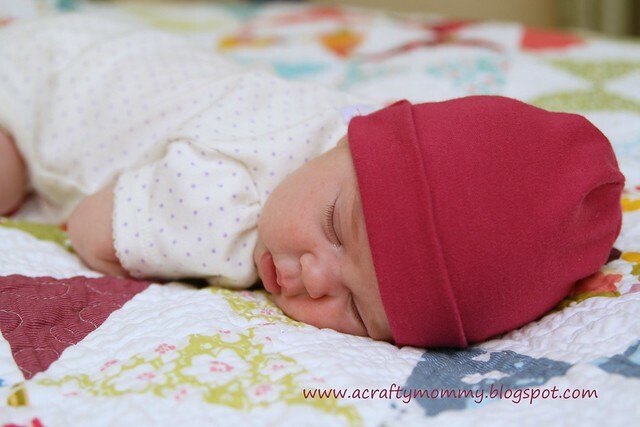 Super excited to find your blog! Looking forward to making some shorts for my daughter! 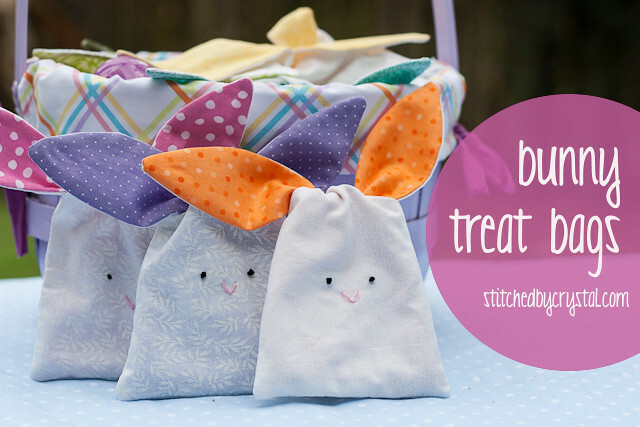 I have some seeesucker fabric and I can't wait to try this! Thank you! So excited to do this. All things considered, have you thought about how SAG would be if there were the female moderators? Don’t miss a single moment of the WNFR action. Don’t worry, If you can’t attend in Las Vegas NFR, we’ll discuss here how to watch NFR live online real-time TV coverage.